The building pictured here is St Aldhelm’s Chapel. It is Norman, dark and damp and situated on the edge of a Dorset cliff, facing south. Sitting there, enclosed in those thick walls, you feel a bit like being in a deep cave, but placed up high and on an edge, stubborn yet precarious. 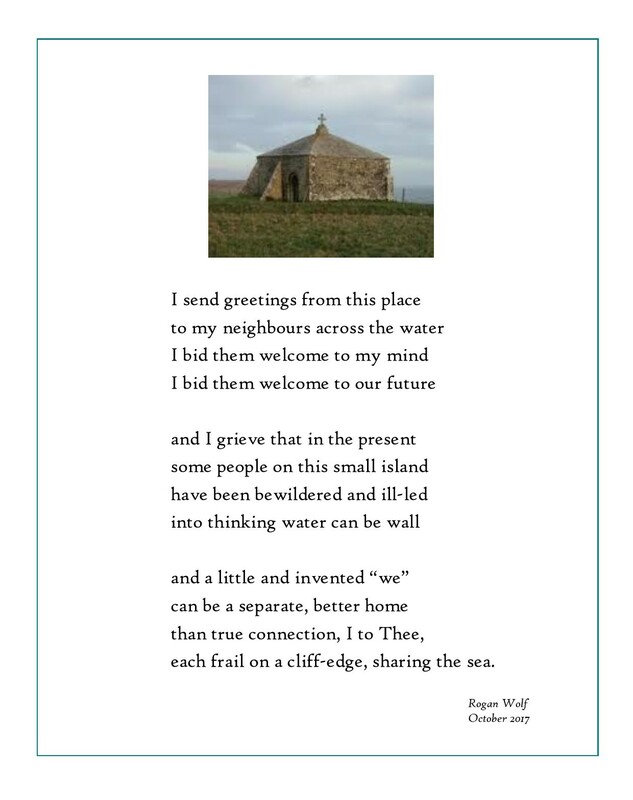 Last Autumn, I gave a poetry reading in the chapel and wrote this poem in the days beforehand, so that I could include it as part of the programme. Lying to a Sovereign People is a crime of High Treason.